Brooks Sports was ready to change the running game with the launch of their new Transcend Running Shoe. The shoe was designed and developed with new materials and technologies which offered better cushioning for runners. 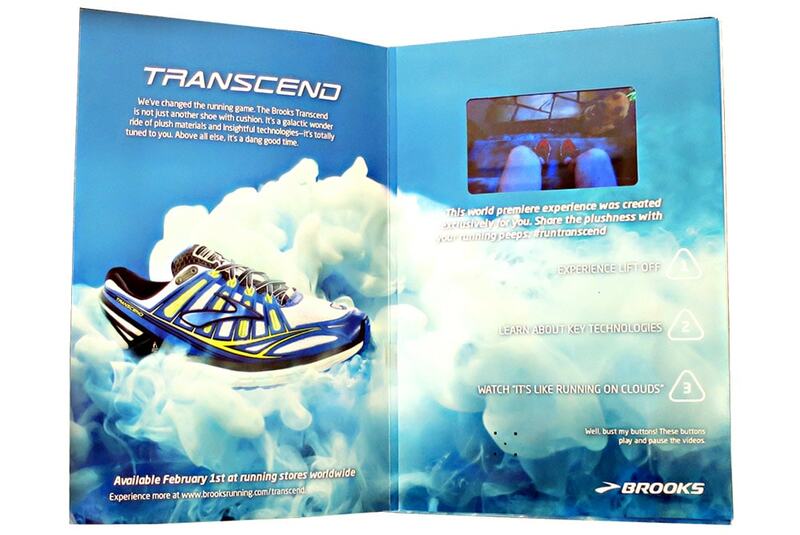 Brooks needed a way to spread the word about the Transcend product while also educating consumers about the key technologies that offers a “running on the clouds” experience. Brooks was looking for a first to market and high impact print concept to take their messaging to the next level. Americhip worked with Brooks and its ad agency to develop and create a magazine insert that utilized Americhip’s Video in Print Technology. The insert had three chapter buttons that played explainer videos on the key technologies, runners' testimonials, and a bird’s eye view of the Transcend Running Shoe experience. Brooks now had an engaging and interactive way to educate consumers about the technologies while also giving the Transcend the type of world premiere it deserves. 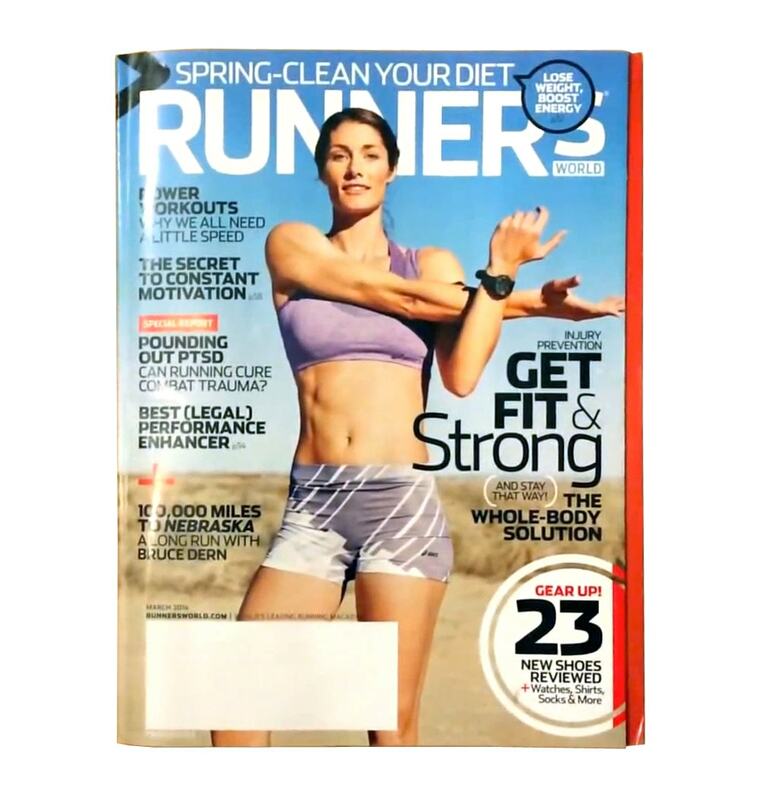 In order to reach their target demographic while also maximizing ROI, the Transcend Video in Print magazine insert was sent to key subscribers in copies of Runner’s World Magazine. This ground breaking campaign gave way to signs of success with positive consumer feedback, social media buzz and a glowing write up in the media news section of the New York Times. When you need to digitize your print message, give Americhip a call!